The wait is over. Apple has now launched SIM-free unlocked iPhone 7 and iPhone 7 Plus models in the US almost one month after the initial release of the said handsets. Except for the United States, SIM-free models of iPhone 7 and iPhone 7 Plus were available in all markets at launch. In the US, Apple chose to launch its iPhone 7 range in carrier-specific models. Consumers were able to select between T-Mobile, AT&T, Verizon or Sprint models, with each of the models having slight differences between them. For instance, Verizon and Sprint models work on both GSM and CDMA networks while AT&T and T-Mobile only works with GSM networks. And while all of these carrier-specific models came unlocked ready to be used with any compatible network’s SIM worldwide when bought and paid in full from an Apple store directly, the SIM-free unlocked version on offer today doesn’t come with any SIM card pre-installed in the phone and like Verizon’s and Sprint’s model it can be used on both GSM and CDMA networks. The SIM-free version of iPhone 7 carries model number A1660 while SIM-free version of the iPhone 7 Plus carries model number A1661. 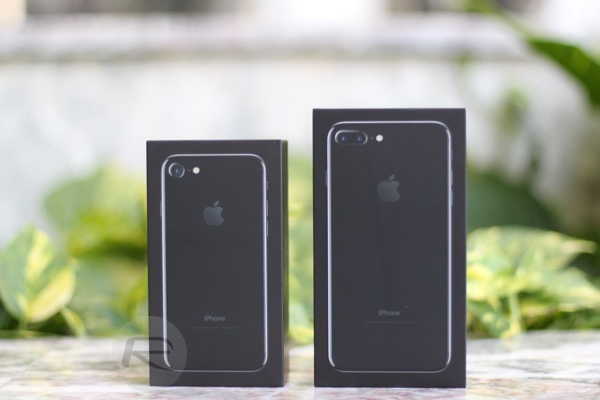 Available in the usual Jet Black, Black, Gold, Silver, Rose Gold colors and 32GB, 128GB and 256GB storage options, the SIM-free version of iPhone 7 and iPhone 7 Plus can be ordered starting today from Apple’s online store. 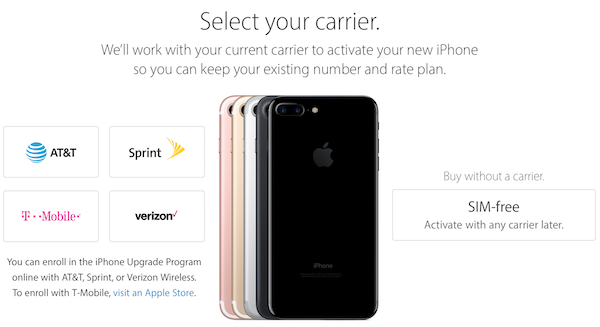 iPhone 7 and iPhone 7 Plus in the US are now available in SIM-free option in addition to previously available AT&T, Sprint, T-Mobile and Verizon versions. As for shipping estimates of SIM-free models, Apple is showing three to four weeks for iPhone 7 Plus in all capacities (six to eight weeks for Jet Black) and October 17th to 19th for iPhone 7 in all capacities (three to five weeks for Jet Black color). Can you ever write anything coherent?